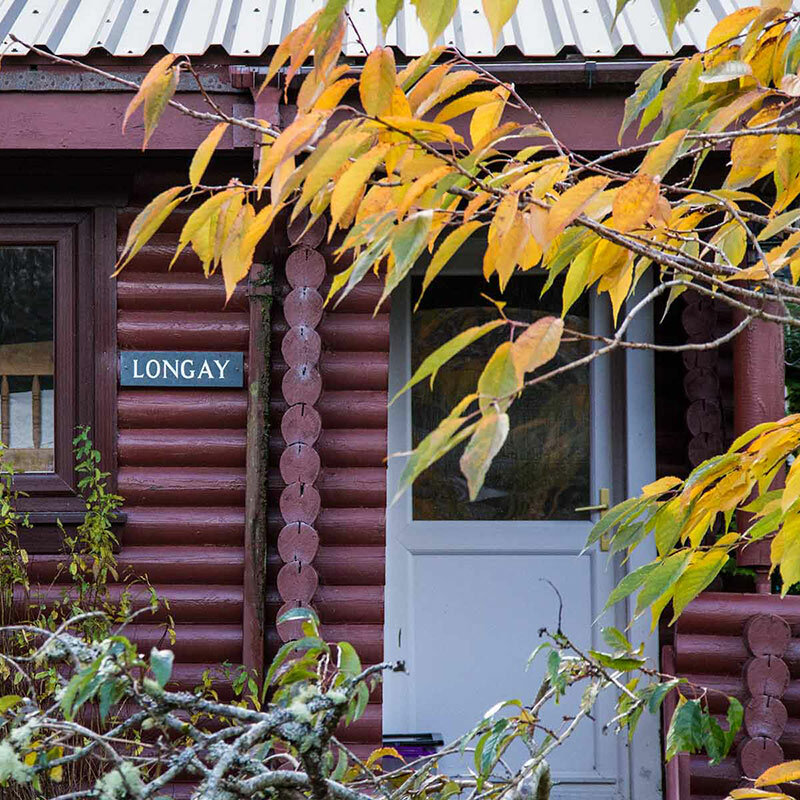 Longay Lodge is a Canadian Style lodge with 3 bedrooms and a newly refitted bathroom with a walk in shower and a 3/4 length bath. 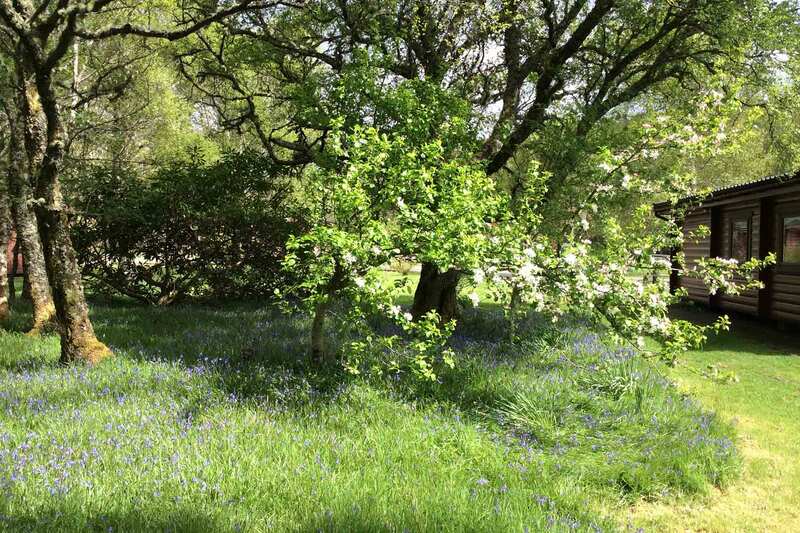 There is one double bedroom, one twin bedded room and one room with adult sized bunk beds. 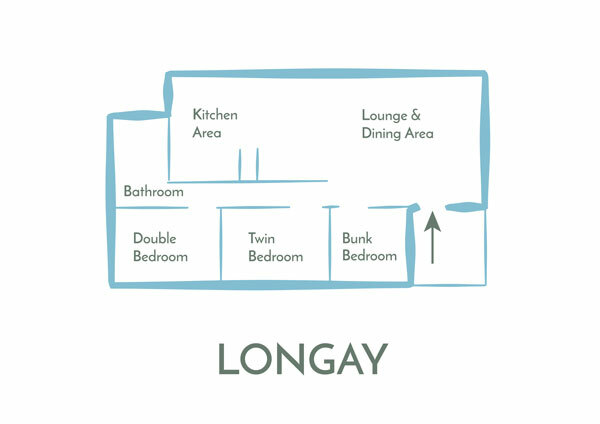 Longay sleeps up to six people. The lodge has electric heating in every room controlled by you, so whatever the weather, or your personal temperature preference, you are in control. Heating and electricity are included in the price of the lodge. Each Lodge has a small selection of CD’s that you can play on the TV and in a communal lodge we have a large number of DVD’s that are available for you to watch during your stay with us. The bathroom has a walk in shower and a 3/4 length bath. There is also a wash basin, toilet and heated towel rail. Recently re-fitted bathroom with walk in shower and ¾ length bath. Lifted slightly higher up than other lodges so windows are above eyesight level of anyone walking near the lodge.